Suppose that you’ve done your homework and you have good reason to believe the price of a particular stock is about to fall. Perhaps its fundamentals are weak or the company operates in an industry that is falling out of favor. To profit from that misfortune, you could decide to “sell the stock short,” even though you don’t own it. Selling short typically involves borrowing shares from your broker, selling them, and depositing the proceeds of the sale in a stock margin account. If the share price does drop, you then can buy the stock at a discount to replace the borrowed shares. You come out ahead because you bought low and sold high—just not in the usual order. Let’s look at an example using purely hypothetical facts. (For simplicity, this illustration doesn’t include commissions or other fees.) Suppose that you strongly believe that shares of Anycorp are going to drop substantially. So you sell short 100 shares of Anycorp at $50 a share after you’ve established a good-faith margin with your broker. When the stock falls to $30 a share, you’re ready to pounce—you buy 100 shares of Anycorp for $3,000. As a result, you’ve realized a $2,000 gain ($5,000 minus $3,000) by selling short. What happens if the price of the stock goes up? In that case, be prepared to lose money. For example, if the price of the stock rises to $60 a share and you buy 100 shares of the replacement stock, you’re out of pocket $1,000, not counting any commissions and fees. Also, keep in mind that you’ll have to meet several technical requirements for short sales. 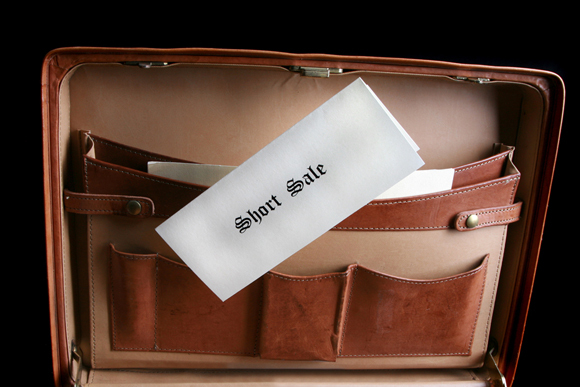 To begin with, your short-sale margin account must have 150% of the value of the short sale at the time of the transaction. The 150% includes the full value of the short-sale proceeds, plus an additional margin requirement of 50% of the value of the short sale. For instance, if you initiate a short sale for 1,000 shares at $10, the value of the short sale is $10,000. The initial margin requirement is the proceeds of $10,000, plus an additional $5,000, for a total of $15,000. Other maintenance-margin requirement rules for short sales are designed to ensure that the borrowed shares will be returned. For purposes of FINRA, the regulatory body governing brokers, the maintenance requirement for short sales is 100% of the current market value of the short sale, plus at least 25% of the total market value of securities in the margin account. Keep in mind that this is the minimum requirement; a brokerage firm may impose a higher minimum. Many brokers insist on maintenance requirements of 30% to 40%. Clearly, this investment strategy is not for the faint of heart. Remember that selling short is a speculative undertaking that carries significant risk. You should consider it only if you’re convinced that the price of the stock is going to drop. To hedge your investment slightly, you might arrange to buy some shares of the same stock at the time you sell short. That way, if the price of the stock does rise, you’re able to offset some of the damage with a gain. A related investment strategy is to “sell short against the box.” That involves selling short shares of stock you already own. Thus, you effectively create both a “short” and a “long” position in the same stock. This results in a neutral position for which you have locked in your capital gain and your loss on the stock. Years ago, selling short against the box was a technique that could defer the tax due on a capital gain. But the law changed in the 1990s and tax deferral is no longer permitted. Note that the maximum 15% tax rate on long-term gain is 20% for certain high-income investors. Also, you may owe a 3.8% Medicare surtax on a portion of your investment income, resulting in a top effective tax rate of 23.8% on long-term gain—not even counting any state income tax. Obviously, the illustrations here only hint at the sophisticated techniques required for short sales and for selling short against the box. In light of the recent volatility in equity markets and the pending tax-law changes, these or other hedging strategies might turn out to be appropriate for your situation. We can help you look at your portfolio and your investing goals and consider the opportunities that are available to you. Please give us a call to set up an appointment. Which Retirement Funds Should You Withdraw First? Cost Basis Methods: Which Is Right For You?